This sweet potato puree is great to start weaning your baby and is super easy and delicious. Double bonus, it makes enough for you to freeze for the rest of the week – perfect for us busy mums. STEAM for 5-8 min until soft. BLITZ till a smooth puree adding a little cooking liquid to loosen. ADD a small sprinkling of grated nutmeg. 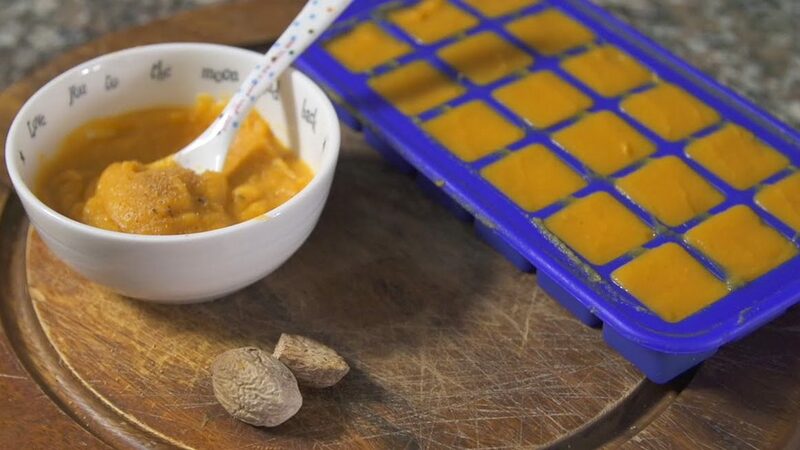 FREEZE the remaining puree in an ice cube tray.